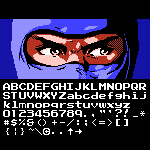 See also Ninja Gaiden (NES) (Alternate) by Patrick Lauke (redux). Info: Created on 25th July 2015 . Last edited on 26th July 2015.